I had an amazing all natural birth. Then at my baby’s twenty-four-hour newborn screening, it was discovered that my son had congenital heart defects that were missed during my pregnancy. He had open heart surgery at twenty days old and spent the first seven weeks of his life in the hospital. When I looked at the digital pregnancy test on the counter and saw the word, “pregnant,” I was totally shocked. All I could say was, “Oh my god” repeatedly. My boyfriend, Nathan, was happily eating cereal as he came to see what the fuss was about. He had just spent the last few weeks consoling me and assuring me that he would be okay living life with me, even if it meant never having children. It was a few months shy of my 30th birthday. I had longed to be a mother for years, but (for many reasons), the timing was never right. Having been diagnosed with Polycystic Ovarian Syndrome (PCOS) as a teenager, I always knew that having children (even when I was “ready”) could be a challenge. In the Spring of 2016, I finally found myself at a place in life where trying for a baby was a real possibility. A couple of months later, I went for my yearly exam with my provider and mentioned that I was ready to start trying to conceive. We decided to go ahead and do some preliminary testing to see how things were looking in terms of my fertility. This included an ultrasound to look at my ovaries. The ultrasound tech wasn’t allowed to say anything, but she didn’t need to. I could see that my ovaries were covered in cysts. While my provider increased my Metformin and offered some suggestions, it seemed likely that fertility treatments were in the future. I was very disappointed. My boyfriend was so supportive. We agreed to put off “trying,” as we were in the process of house hunting, and decided we would seek assistance once we had acquired a home and settled in. As I mentioned earlier, it wasn’t even a month later when we discovered I was pregnant. In fact, I probably conceived about a week after that appointment. My menstrual cycles are super irregular. I decided to take a test (very doubtful it would be positive but still wanted to be sure) because I was “late” even for me. I’d been slightly more tired than usual, a little nauseous, and my breasts were sore. Several of my friends, who know my stubborn and enduring personality, joked that I decided I’d just immediately go home and get pregnant to once again prove everybody wrong! Twice a week I worked out with a personal trainer and regularly attending pole classes. I had just won second place in a regional pole competition. I wasn’t “dieting” but I had been working on eating mindfully. Other than the worries about my fertility, I was genuinely the happiest I think I’d ever been. I’m not sure if those things contributed to our little surprise or not, but I’m sure it didn’t hurt! Google and many medical providers (and a lot of keyboard warriors on the Internet) will absolutely terrify and shame you when you’re plus-sized and pregnant. I decided that I would do my best to just listen to my care providers, my supports in the local birthing community and try not to feed into my worry too much. It was a real struggle at times because I am super prone to worrying like crazy! Overall, my pregnancy was the most beautiful time of my life. My goodness, I even look back at it now with nostalgia and longing. When I came back in for my next appointment, my provider hugged me, she was so excited. At 16 weeks, I was too chunky for the fetal doppler to pick up my baby’s heartbeat. So I got a surprise ultrasound that day and found out we were expecting a boy! We went for our 20-week anatomy ultrasound, and while everything looked good, they couldn’t get all the images they needed of the baby’s heart. They scheduled me to come back in 2 weeks. It took 3 additional scans for them to get the images, but they were eventually satisfied with what they saw. With that scan, the ultrasound tech high-fived me. During that time, I also maintained excellent blood pressure and aced my glucose screening. At around 20 weeks, my boyfriend and I started Hypnobirthing classes. I started talking with other local childbirth educators and asked my Hypnobirthing instructor for a few good doula recommendations. Everyone we spoke to strongly encouraged us to shop around if we wanted to pursue a natural birth without much medical intervention. I wouldn’t have known this without asking, but the hospital I was planning on delivering at had a reputation for not being very welcoming of natural births. This facility also seemed to have a high incidence of inductions and subsequent c-sections. We found a wonderful, experienced doula and decided to hire her. With that information, also having watched the documentary The Business Of Being Born (a great documentary but not very supportive of hospital birth and also another resource that doesn’t really speak to obese/overweight women), and researching the midwifery model of care, we decided to start exploring other options. 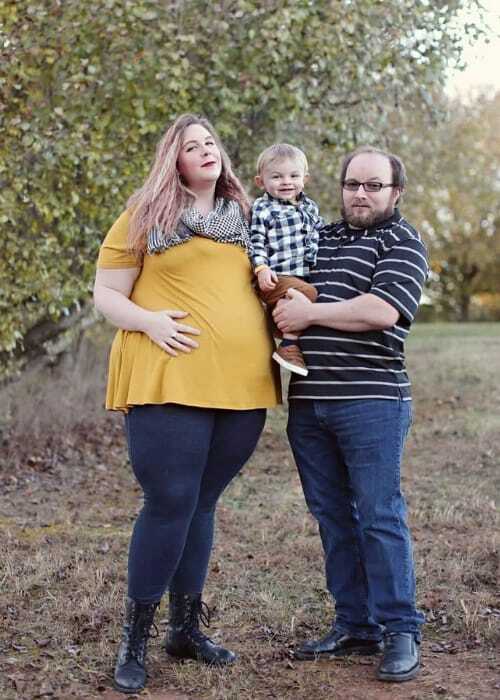 Due to me being classified as obese (I am 6’0″ and weighed about 315 pounds at the start of my pregnancy, about a size 20/22) and having a history of being on Metformin, I was informed that I was neither a candidate for home birth nor for the local birthing center. However, there was a group of midwives working at a local hospital. We had an informational visit with them and decided we would like to transfer to them. It was a little hard, as I had been seeing my previous provider for many years. They did kind of give me a hard time for wanting to switch and for requesting my records be sent to so many other providers. The thing that made me feel most confident about the decision to transfer was something that I’d seen/read Jen McLellan mentioning before: You think you start your pregnancy with a size-friendly provider, but then as things progress, you start to realize that maybe they’re not. When I hit my third trimester, they started scheduling me for non-stress tests. No one would explain to me why that was. So at thirty weeks (which is a little late), we officially transferred to the midwives. To prepare for the birth I wanted, I searched desperately for stories of other plus-size women who had successfully given birth naturally without pain medications. The Plus Mommy blog was almost the only source I could find. I read Ina May’s Guide to Childbirth. While I highly recommend it, I still feel as though it may not really speak to the experience of women of size. However, I tried to disregard that and read the book as though it really is meant for all women everywhere. One of the most powerful things I took away from that book was that my body is not a lemon, I had what I needed inside myself to bring my baby into this world. I felt like birth would be an opportunity much like pole dancing was for me–to really connect with my body, to love it for what it was capable of when I let go of what I was conditioned to believe about myself as a fat woman. As I mentioned, I attended a Hypnobirthing course and read the accompanying book. It contains a lot of the same messages that Ina May shares. It also reminded me a lot of some of my training as a therapist, especially with the specific coping techniques for labor that are taught. However, I did at times also feel left out as a plus-size woman. Within my class, which was small and intimate and full of wonderful people, I was the only plus-size pregnant woman. I also watched a lot of videos about birth. I share that with caution because there are a lot of people that this doesn’t help and it can create a lot of anxiety. My favorite show to watch was One Born Every Minute (the UK version, not the US version–in my opinion the US version often portrayed women who wanted a natural, unmedicated birth in a negative way). Watching birth videos really helped me prepare for the unpredictable nature of birth and how I might cope if things didn’t go as I had planned or wanted. I met with my doula a few times and communicated with her through email and text frequently. 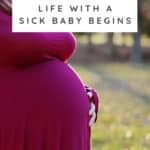 She helped us write a sold birth plan and showed us some of her favorite techniques for coping with labor. I cannot stress enough how beautiful this part of my life was. I had a fairly “easy” pregnancy. I had the most wonderful support systems in every area of my life. It felt surreal. I told several people that sometimes I caught myself “waiting for the other shoe to drop,” but it was a feeling I easily dismissed. 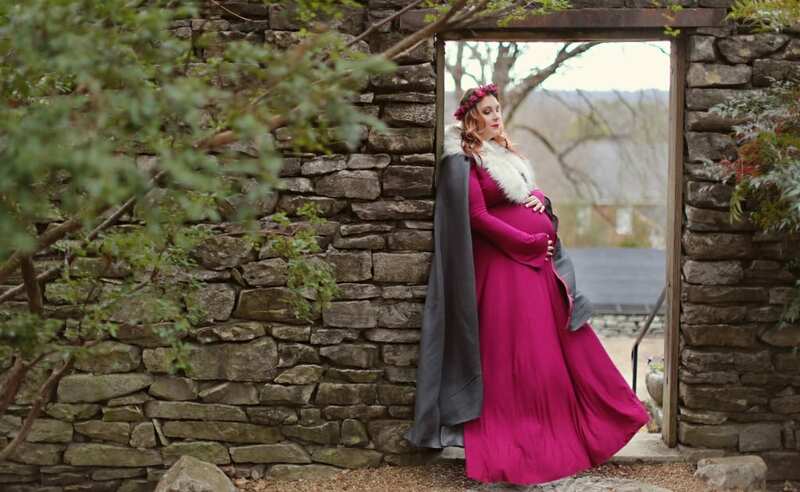 We even had a beautiful maternity shoot with photos by Julie Roberts Photography that was featured on the Plus Mommy blog! On March 16, 2017, I was preparing for maternity leave at my job. We made sure all my clients (I was a psychotherapist at a residential treatment center) had plans to transition. My due date was the following day, March 17th. We had a bit if a laugh all those months before when we were given the due date of Saint Patrick’s Day! However, we knew it would be highly unlikely that our baby would come on his estimated due date. I went home that evening, had a little snack (I craved spicy ramen throughout my pregnancy), and went to bed. Nathan was working the night shift at that time. When he got home in the early hours of the morning, I got up to spend a little time with him. I was off that day. We had plans to (after he had slept a bit) go to a regular appointment with my midwives (after all I was 40 weeks to the day), see a movie, and visit some family. Of course, we had plans! Who has their baby on their due date? Haha. We had some grilled cheese, cuddled up and watched some TV, and then went back to bed for a few hours until my appointment. Of course, I woke up with an extremely strong urge to pee like 10 minutes before my alarm was set to go off, so at 8:20 in the morning I hopped out of bed and my water broke. I’m just gonna go ahead and say this right now: there is so much good content out there, especially in the Hypnobirthing courses, about using positive language to aid in coping with labor. But honestly, I’d spent too many years being conditioned, hearing terms like “water broke” and “contractions,” and unfortunately when I went into that primal space during labor, all that good stuff (like “membranes released” instead of “water broke” and “waves” or “pressure waves” instead of contractions”) went right out the window! I was so worried I wouldn’t know when my water had broken, but for me, there were a couple of “tells.” First, I literally heard and slightly felt a “pop,” and then a sound that resembled the sound a water bottle being turned upside down makes as water trickled down my legs. I joke that I had never seen him hop out of bed so fast. He was so positive, too, especially for someone who had only slept just a couple of hours! He said, “That’s exciting!” And we began gathering our hospital bags and making a few phone calls before making our way to the birthing unit (when I called the midwives’ office, they told me to head on to the birthing unit). On the way there, we decided to quickly stop for gas, “just in case.” I had called my mom shortly after my water had broken. She actually beat us to the hospital. We told my doula that we would let her know how things were progressing and when we felt like she should join us. I signed in and headed up to labor and delivery. Stepping out of the elevator, I remember one of the nurses asking if I was in labor. I told them my water had broken and that it was literally dripping out of me while I was talking to them, haha. They decided to let me skip triage and put me straight into a room. I told my mother and Nathan that they could go get coffee or something while I was doing all the admission stuff. The admitting nurse was okay in that she did her job in a very perfunctory matter. During that check, I was dilated to 4 centimeters and 90 percent effaced. When she finally did everything she needed to do and left. They officially determined that my water had indeed broken and I would be meeting my baby soon. I looked up at the clock, finally alone for a bit. It was about 10:00 am. I still wasn’t feeling any noticeable contractions at that point. I was on those continuous monitors that go across your belly, and of course, because of my size and body shape, they fit extremely poorly and didn’t work very well. This caused the admitting nurse to eventually come into my room, stick me in the one position where the monitor would pick up my son’s heartbeat, and tell me not to move until my midwife got there. Until, probably 30 minutes later, it wasn’t! Haha. I was in the middle of happily texting a friend, when all of a sudden, I started feeling my contractions. I put my phone down and never picked it back up again until after my son was born. Nathan had come back to the room a while before this, and he was trying to nap a little on the couch. Eventually, I called him over, as I needed some support through contractions. I cried a little because things were just suddenly so intense, and I felt a lot of gratitude to have Nathan there with me. When my contractions peaked, he would hold me close and take deep breaths with me. Thankfully, I didn’t have to stay stuck in that position for much longer. I knew that if I wasn’t allowed to move very soon, then I would be asking for an epidural or something for pain. Around noon, my midwife thankfully arrived, along with my regular nurse. From that time on, they did not leave my room very much. I was very emotional. My midwife checked me, and I was 6-7 centimeters and 100 percent effaced. Everyone agreed that I was probably emotional because 7 centimeters is kind of the transition time. I also told her that I really needed to move to cope with my contractions. For some reason, I wasn’t able to switch to intermittent monitoring. I readily agreed to an internal monitor, as that seemed ideal versus getting an epidural. Nathan messaged my doula and let her know that things were progressing more quickly than we had imagined and that we needed her at the hospital. Once the internal monitor was placed, I happily got up out of the bed and sat on my birthing ball through some contractions. My doula, Lori, showed up shortly after that. Lori arrived serenely and confidently with her rolling bag of doula goodies. My contractions were coming every 2 to 3 minutes. She suggested we get up and walk the unit. I foolishly tried a few times to just keep walking through my contractions but they were far too strong by that time! I would lean on Nathan and cradle my head in his neck, taking deep breaths. Lori put pressure on my lower back and that was absolutely heavenly! Lori showed me the area where the tub was on the unit (there was a tub for laboring, which was something I had planned on trying). I told her that I didn’t know if we’d have time to use it because I just felt like things were progressing so rapidly. We only made it about two laps, and I suddenly felt “different.” I told Nathan and Lori that I needed to go back to the room–if I didn’t need to push then I just needed to use the bathroom, maybe. Upon returning, the nurse and midwife were not immediately available, so the same admitting nurse came to check me while I was leaning over the bed. She said she didn’t think I was fully dilated yet. I was a little discouraged, but Nathan decided to accompany me to the bathroom. Afraid to do anything, because I had such an overwhelming urge to push, I sat down on the toilet. I didn’t want to push if it wasn’t time. That was the only time I completely lost my cool and raised my voice. I yelled, “I can’t do this!” Which brought my nurse and midwife back to the room. My midwife asked me to lay down on the bed so she could properly examine me. My midwife announced, “She’s complete!” I was such a mess, I remember asking, “Does that mean I get to push?” And she smiled and said yes. Everyone started getting everything ready. I absolutely could not believe things had progressed so quickly! I wasn’t even sure I felt ready to not be pregnant anymore. I had been feeling somewhat nauseous, but I think I’d been swept away by labor that I hadn’t been able to properly attend to it. When being told it was time to push, I suddenly felt a strong wave of nausea. “I’m gonna throw up,” I declared! People took me pretty seriously, and everyone around me started scurrying to grab something for me to vomit into. Someone handed me a kidney bowl. I don’t know who can actually vomit gracefully into a tiny kidney bowl, but I’m certainly not one of those people. Poor Nathan, he was the one holding the kidney bowl. He was such an amazing partner that day, and he bravely stood there while I expelled my stomach contents everywhere. It was almost exactly like the scene from The Exorcist! I have heard that vomiting during labor isn’t uncommon. Certainly, I felt a little more ready for the task ahead afterward! At 1:42 pm, I started to push! Almost everything I had read and watched led me to believe pushing would give me some kind of relief or even feel good. That was not the case for me. I didn’t start feeling like I would need medication until this phase. For a while, I didn’t feel like I was making any progress. I tried pushing in several positions, but for some reason, the only position that seemed to be working was laying flat on my back. This is something most birthing books/classes/people advise against, but it’s just what worked for my body. My whole birth team was so positive and encouraging. I never did end up getting meds. My doula applied chapstick to my lips a few times, which somehow seemed to help. Eventually, in between pushes, I would put my hand on Nathan’s chest and we would breathe together. That helped keep me from losing total control and helped me stay centered. There were times during pushing that I just wanted to yell, but I knew that wouldn’t be productive. I started doing this technique called “horse breathing” and that also seemed to help. Several times, my midwife offered to get a mirror and/or encouraged me to feel my baby’s head when I pushed. For the longest time, I didn’t want to. I’m not really sure why now. My midwife excitedly exclaimed that she could see ahead of dark hair. I eventually did agree to put my hand down to feel his head when I was pushing. Nathan swears that I really started making more progress from that point. I pushed for 3 hours! I knew it was a long time, but in my mind, it still doesn’t feel like it was that long. I will be eternally thankful that I had surrounded myself with a team that allowed me to have time to progress without scaring me or pushing any interventions on me. My midwife was on call, and her phone rang several times as I was pushing. When my baby’s head began to emerge in earnest, I remember saying, “Please don’t answer your phone,” haha. Several people came into the room as he crowned. There was a brief moment once his head emerged where my midwife said something and a couple of nurses stepped in and pushed my legs up while another nurse pushed on my belly. My son was out almost immediately! Once everything had calmed down in the delivery room, my midwife explained that I had what she considered an extremely mild version of shoulder dystocia (where your baby gets stuck by his/her shoulders once the head is born). As soon as my son came out, he started crying. They immediately brought him to my chest (which was bare, I spent most of my labor, especially the pushing phase, with a sheet haphazardly thrown over me but wore nothing else). Sagan Robert, his official time of birth was 4:48 pm. Nathan cut his cord once it had stopped pulsing. Sagan stayed on my chest for over an hour. We gazed at each other, I looked him over and held his hands. I nursed him. Our nurse was great about helping facilitate that bonding time. When they finally took him off my chest, he weighed in at 8 pounds 6 ounces. He was 22 inches long. So my son was born spontaneously on his due date, which also happened to be Saint Patrick’s Day! We had some family visit that evening. When everybody had left, and it was just Nathan, our baby, and me, it felt magical. We were so proud and excited. Unfortunately, our joy was short-lived. This part of the story may be frightening for expectant mamas. You may not want to read past this point. The next day, when Sagan was taken for his newborn screening, it was discovered by an extremely perceptive nurse practitioner that my son had a pretty serious set of heart defects. None of us would have known if she hadn’t realized that my son’s heart murmur was not the typical murmur that many newborns have. As difficult as it was to have my newborn taken from my arms and thrust into the world of the NICU, if we had taken him home there’s a good chance he would’ve died. I’m currently expecting our second baby, due in just a few weeks. There have been so many complicated emotions, as I’m sure there would be for anybody, but especially in light of my son being born very unwell so unexpectedly. I feel out of place in most positive birth communities. I am re-reading Ina May’s book and reviewing my Hypnobirthing curriculum. I keep feeling like I’m a pariah. The NICU and the pediatric cardiac world, and really the world of sick children in general, is a place where you lose so much power. There are countless difficult feelings that come with being the mother of a child with a serious illness. When they took my son, I was no longer able to hold him or feed him. I have spent so much time processing my feelings with my therapist, with friends and family, with my doula. 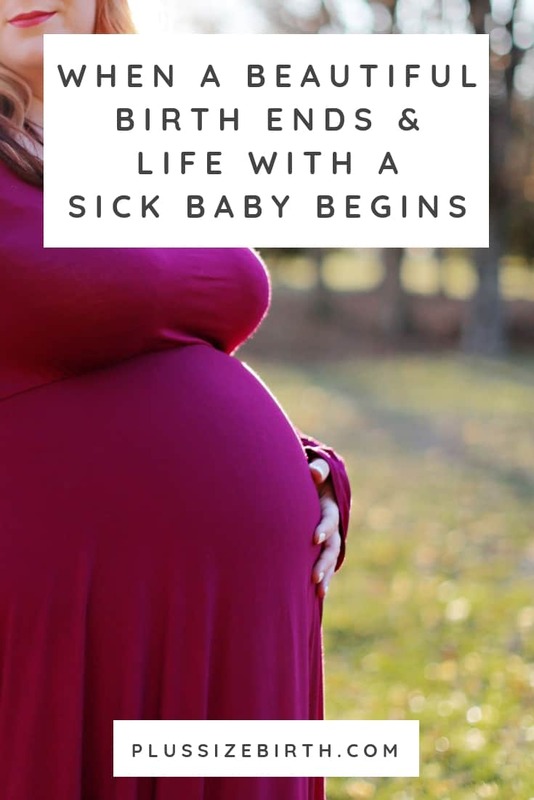 It has really been since I started writing Sagan’s birth story for the blog that I’ve really started to sometimes feel some peace and even genuine excitement about laboring and delivering our new baby. 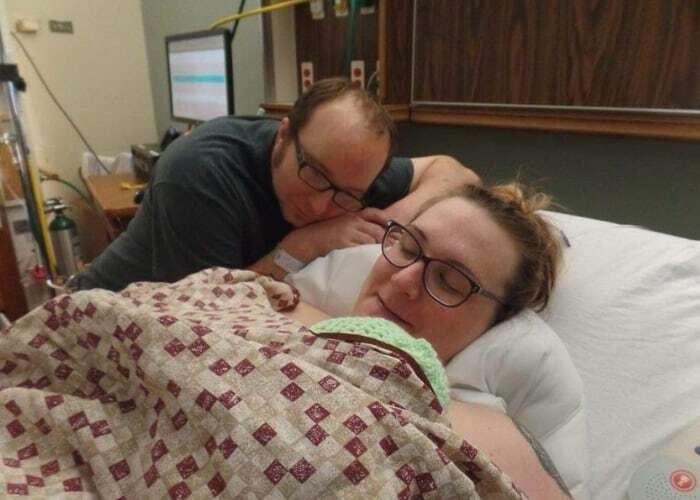 I read another mom’s birth story on the Plus Mommy blog recently, and she makes the point that there are a lot of things you ultimately can’t choose about how your birth will go. Birth plans are a marvelous tool–I think I failed to mention that we had one for my son’s birth. I’m not saying you shouldn’t prepare yourself in whatever ways you can or want to. We had the most beautiful pregnancy and birth. Back to my original point, the thing that has me feeling a little more at peace with this next birth is letting go of the idea that everything has to be perfect. I have still found beauty in Sagan’s story. There are parts that are so horrific, but there is far more there to delight in. It’s our story, and it is ours for a reason. For so many reasons. So I’ll come to this birth with another birth plan. 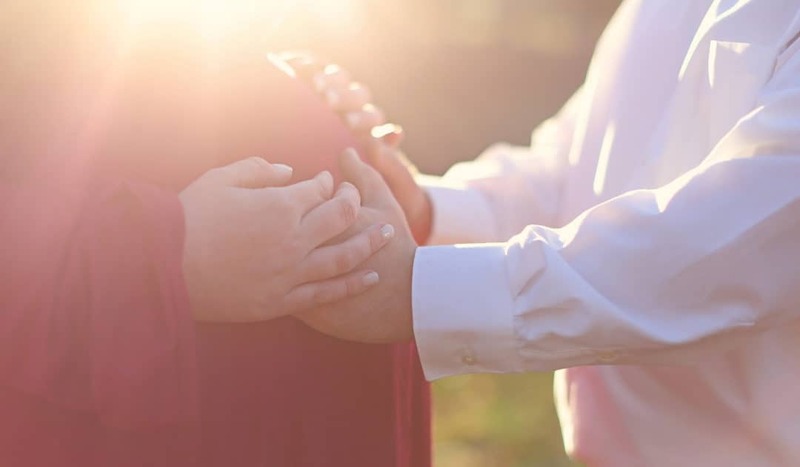 Though our income situation changed DRAMATICALLY since the birth of my son (I left my job to devote myself to his care), our doula has graciously worked with us so that she can be with us for this birth. Nathan is ready to field all the vomit, pee, and poop that might come his way. And we’re gonna do the best we can. That’s all we can do. And at the end of the day, I will trust my care providers to do everything they need to keep me and my baby safe. So if that means another amazing (mostly) intervention-free birth with immediate skin-to-skin and delayed cord clamping and everything else, that’s wonderful. And even if it doesn’t, we will still find our way to make peace with it. Related: Should I Share My Birth Story (Even If Things Didn’t Go As Planned)? If you’re still reading to this point, thank you. If you want to know what happened to my son, he turns two soon and he is doing so amazingly well! 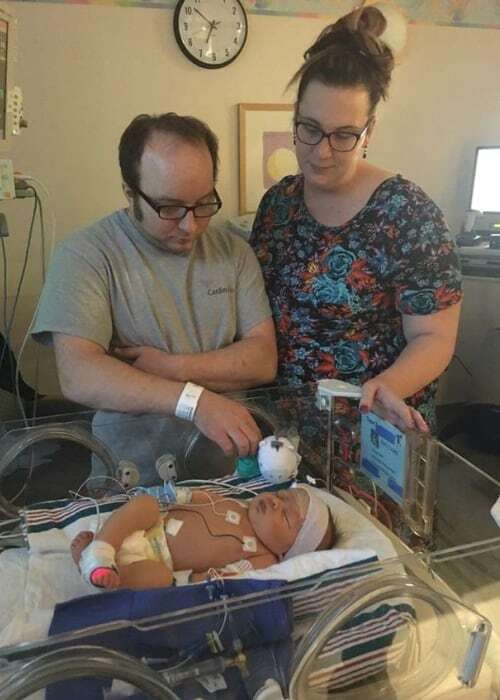 We were sent to a hospital 3 hours away from home, as it was the closest hospital that had a cardiac unit equipped to treat my son’s complex heart defects. Sagan fell very ill in the NICU from a central line infection, we nearly lost him. He was so sick they weren’t sure if he’d survive open heart surgery, which he had at 20 days old. But he did, and he just lived. He eventually needed a feeding tube, and I pumped breast milk for him until he was a year old. We are now working towards being completely tube free. If you want the details of his story, our Facebook group for our son is called Support for Sagan. For so long, I believed I shouldn’t share my story because I blamed myself for having a baby with a birth defect. All of Sagan’s doctors have been so kind and compassionate, none of them have ever pointed the finger at me. They have often discouraged me from feeling this way. But. One of the things people scare you with when you’re obese and pregnant is that your risk for birth defects increases. We recently found out that my son has a genetic disorder that is likely the cause of his heart defects. This is something that could have happened regardless of my size. In general, I have met heart mamas of all sizes and backgrounds. We will not know for sure if our new baby has this same disorder, but all prenatal testing has been fine. That’s a good indication that she may be unaffected. She appears heart-healthy as well, but she will have an echo shortly after birth to be sure. I look forward to eventually sharing this upcoming birth story as well. Read more plus size birth stories.